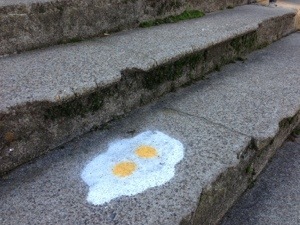 I went to SF yesterday and saw this on the sidewalk while checking out the Painted Ladies. I’m challenging myself to do a photo a day. 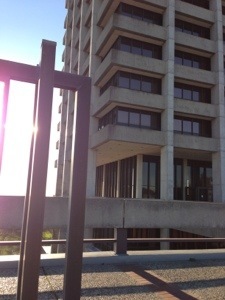 Here’s my view of the Bay – blocked by Warren Hall. It’s a gorgeous view and will be better soon. I like the lines present in this shot. I’m a dork.